Over time your kitchen doors can become a bit ‘saggy’. People often assume that this is because the hinges have warn out. However this is seldom the case and more often it’s simply that the hinges need adjusting – which is quick and easy to do, if you follow these few simple steps. 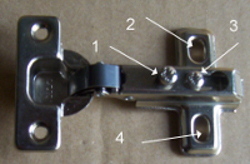 If you loosen screws 2 & 4 the hinge backplate can be moved up or downwards. Its worth remembering though that with these two screws loosened that the door may drop slightly, therefore its worth supporting the weight of the door while you carry out this adjustment. 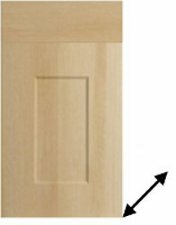 You can adjust the gap between the back of the door and the cabinet by adjusting screw 3. What this does is to physically move the door forwards or backwards, enabling you to get an even gap, down the whole length of the door. Increasing the gap slightly should prevent this. 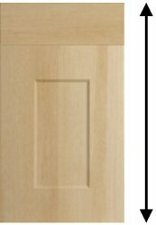 You can see a video on how to adjust kitchen door hinges and you will also find a whole range of handy tips on how to make your kitchen last longer, or look like new with replacement kitchen doors here.